We are excited to announce that we've recently purchased the rights to all of the TB Line 10mm ranges, previously owned by Aster Wargame in Italy. All of the moulds were shipped to Pendraken HQ this past week and we'll start checking them over soon. 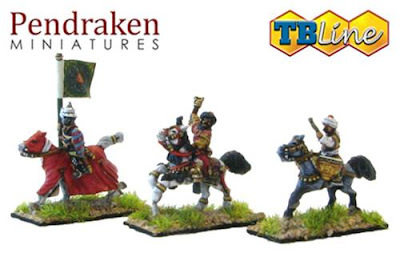 We'd like to thank Corrado at Aster Wargame for offering us the opportunity to buy these ranges and for all of his time during the purchase process. 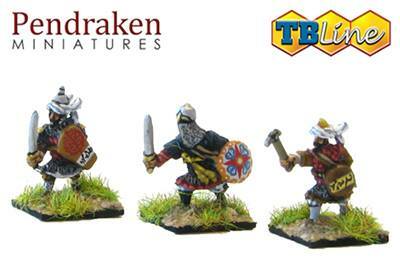 Tridente Bologna released their first 10mm ranges in 2008, starting with a range of Teutonic Knights. Over the years they added Islamic and Eastern European opponents, plus some Mongols, as well as moving back into the Ancients period with ranges for the Punic Wars. The ranges were unavailable for several periods of time in recent years, until 2016, when the ranges were sold to Aster Wargame in Italy and brought back into production. 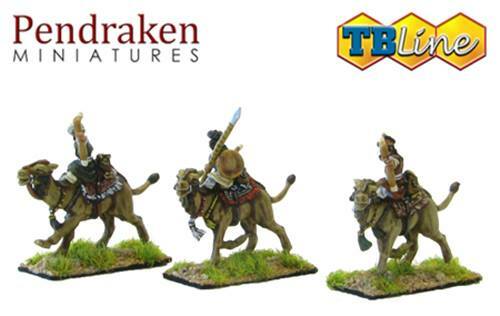 Very well, with only a minor difference in height among the foot figures and slightly bigger horses for the cavalry. 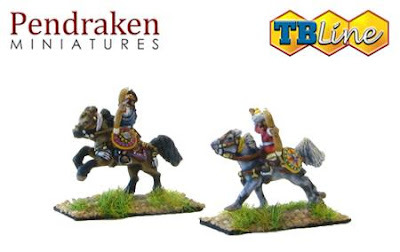 The horses are all separate castings which is a good thing for us as we might be able to use them in other ranges going forward. 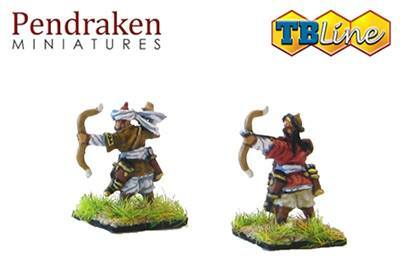 Style Wise, they're again very similar to our newer ranges with a good level of detail on them. The only noticeable difference so far is that the TB Line sculptor used a thicker wire for spears/javelins, which is more apparent on the web photos then on the castings. What ranges will be available? First we need to check everything over and catalogue all of the moulds to make sure they are all casting OK. The moulds look to be in good condition, but they have all been made using a lower temperature rubber which doesn't usually have a long life span. We'll be doing them in batches, so we should be able to add them to the website one range at a time. The only delays to this process would be if we find any damaged moulds that need replacing. There's a few things we need to look at before considering any changes. 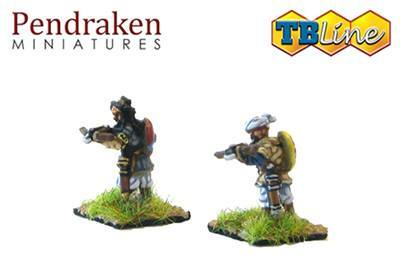 Firstly the command packs were previously only 3-man groups so we need to have a look at the moulds and see if we can change those to larger 15 or 30 figure packs to match in with our own ranges. 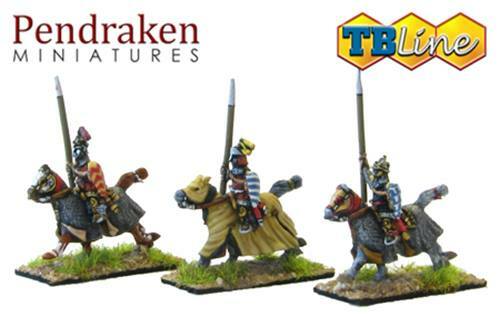 We'll also be having a good look at the pricing of them, as they were previously priced at €7.00 per 30 foot / 12 cavalry. That equates to a little over £6.00 currently, so we'll be bringing that down to somewhere around £5.50 for 30 foot / 15 cavalry. Will you be adding to these ranges in the future? There are no plans for new figures/ranges in these lines at the moment. 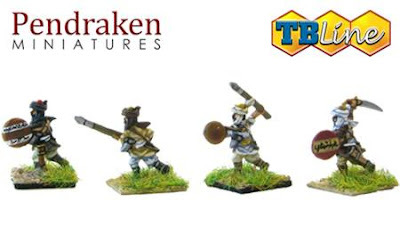 The purchase of these ranges fills some useful gaps in the Pendraken ranges (Middle Ages Teutonics, Eastern Europe and Islamics) and adds some nice variety to our Ancients ranges as well, but any future sculpts would likely be done by our sculptors and added as Pendraken items. What if I want some now?! 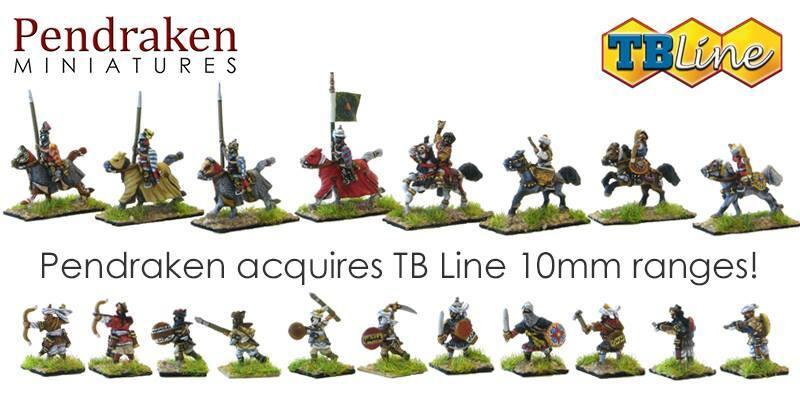 There is still some stock available from Aster Wargame in Italy: https://www.asterwargame.com/collections/tb-line It wasn't viable to ship all of these blisters over to the UK, so it was easier for them to continue selling the remaining stock at their end. Once they've sold out the codes will be removed from the Aster site and the figures will only be available through us here at Pendraken. And that's everything! If there's any questions please let us know and we'll look forward to getting these up for sale!